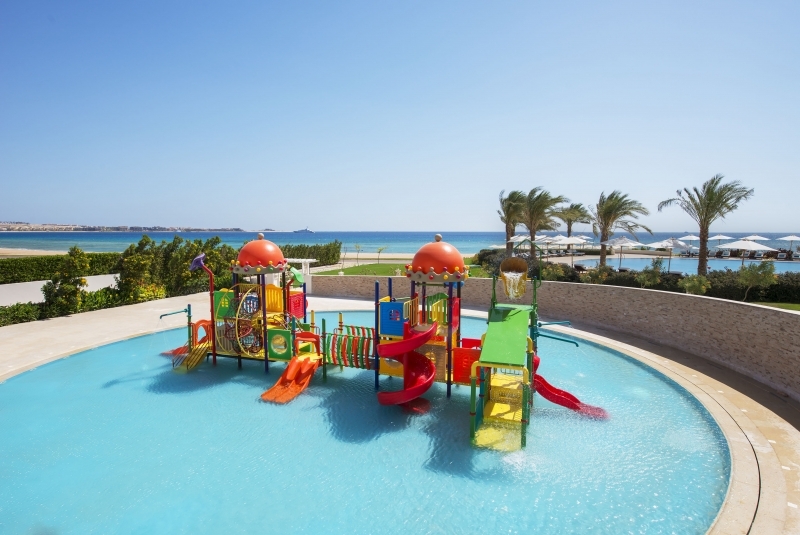 Inviting sun loungers, parasols and towels at pool and beach. 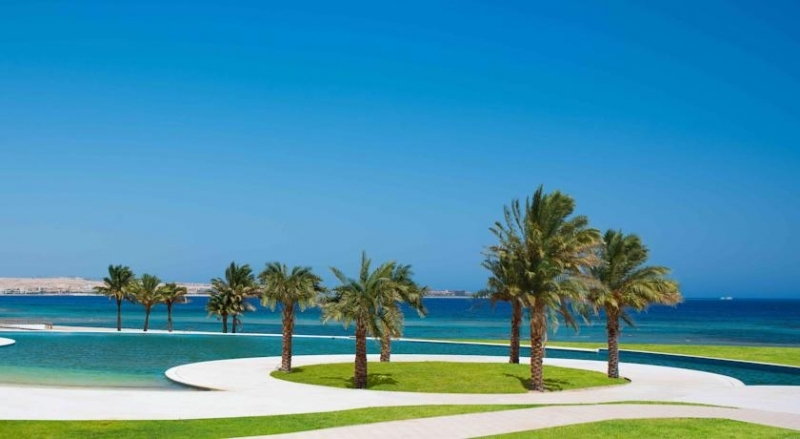 A wide variety of Guest Rooms and Suites are on offer at the Baron Palace Sahl Hasheesh, catering for every type of guest and their needs from couples, honeymooners, groups and families. CLASSIC ROOMS WITH TWIN BEDS - These 43 rooms, 45 sq.m each, offer comfort and privacy with a furnished terrace/ balcony which enhances the complete feeling of luxury.Each has two single beds each 120 cm wide. CLASSIC ROOMS WITH KING-SIZE BED - Designed for maximum comfort and privacy, the 327 double rooms feature a spacious 45 sq.m room area, and magnificent views from the terrace / balcony. King size bed 180 cm wide. CLASSIC ROOMS WITH KING-SIZE BED AND TWIN BED - 53 rooms, 45 sq.m each, with king size bed and single bed, where the king size bed is 180 cm wide and single bed is 120 cm wide. 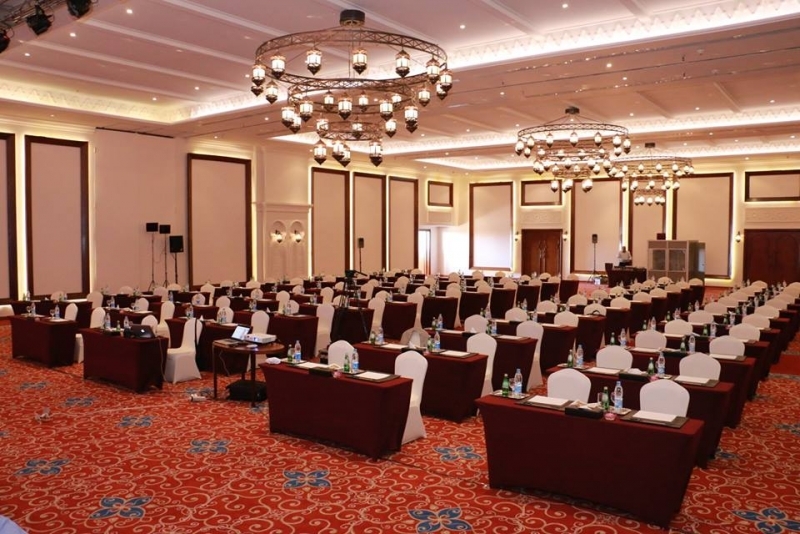 EXECUTIVE ROOMS WITH KING SIZE BED - 87 rooms, 45 sq.m each, with king size bed 180 cm wide that offers the maximum comfort and amazing view of the Red Sea. Guests staying at the Executive room enjoy the privileges of the Baron Club and its exclusive access to the club lounge. 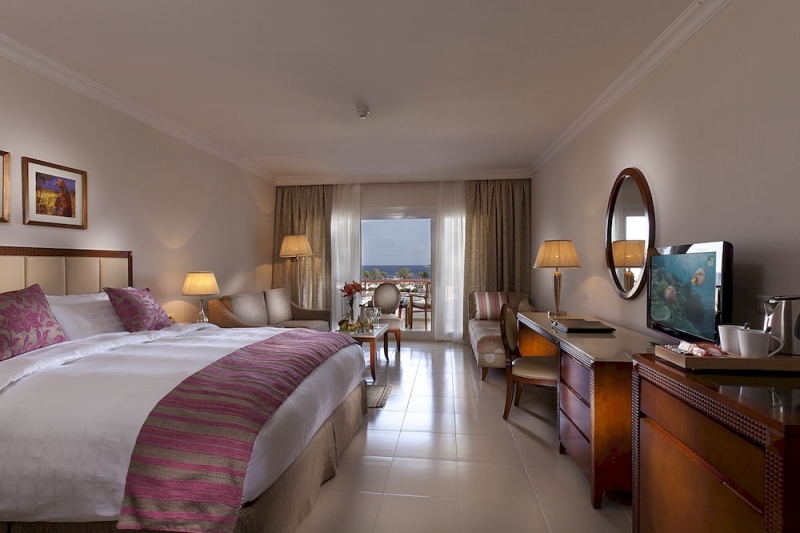 EXECUTIVE ROOMS WITH TWIN BED - 2 rooms, 45 sq.m each, with twin beds 120 cm wide each that offers maximum comfort and amazing view of the Red Sea. Guests staying at the Executive room enjoy the privileges of Baron Club and its exclusive access to the club lounge. FAMILY ROOMS - 33 special rooms, 52 sq.m each, offering comfort and elegance with a king size bed 180cm wide and 2 sofa beds 100 cm wide each. ROOM FOR PEOPLE WITH SPECIAL NEEDS - One room 45 sq.m designed for maximum comfort for people with special needs with king-size bed 180 cm wide. SWIM-UP SUITES - 33 luxurious suites, 52 sq.m each, designed for maximum comfort and privacy with a private swimming pool. 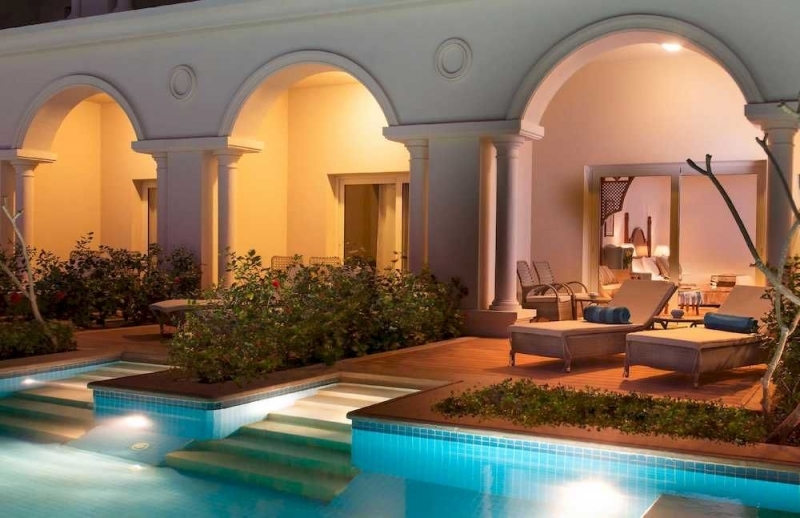 Guests staying at the swim up suite enjoy the privileges of the Baron Club and its exclusive access to the club lounge. PANORAMA SUITE - 16 Panorama Suites, 83 sq.m each, with king size bed 180 cm wide that offers the maximum comfort to all guests. Guests staying at the junior suite enjoy the privileges of the Baron Club and its exclusive access to the club lounge. AMBASSADOR SUITE 1 - 5 Ambassador Suites Type I, 142 sq.m each, with king size bed 180 cm wide. Guests staying at the senior suite enjoy the privileges of the Baron Club and its exclusive access to the Club Lounge. Two bedrooms, each has a bathroom with bathtub, rain shower and One powder room. AMBASSADOR SUITE 2 - 7 Ambassador Suites type II, 123 sq.m each, with king size bed 180 cm wide bed. Guests staying at the senior suite enjoy the privileges of the Baron Club and its exclusive access to the club lounge. One bedroom with its own bathroom including bathtub and rain shower and One powder room. ROYAL SUITE 1 - A luxurious 282 sq.m unit with stupendous views with king size bed 200 cm wide and a private swimming pool. Guests staying at the Royal suite enjoy the privileges of the Baron Club and its exclusive access to the club lounge. 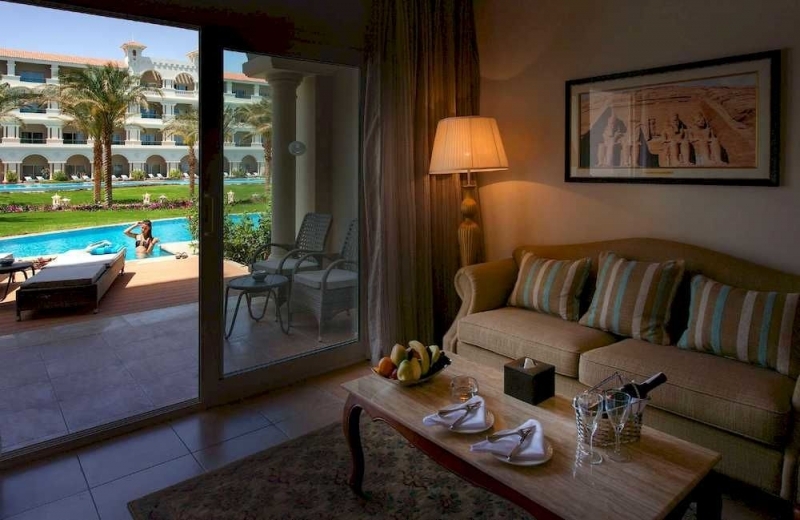 ROYAL SUITE 2 - A luxurious 376 sq.m unit with stupendous views with king size bed 200 cm wide and a private swimming pool. Guests staying at the Royal suite enjoy the privileges of the Baron Club and its exclusive access to the club lounge. General In Room Services provided: (Suites have additional amenities. Check the individual Suites for further information). - Spacious terrace/ balcony allowing guestrooms to function as suites, maximizing the comfort of indoor-to- outdoor living. 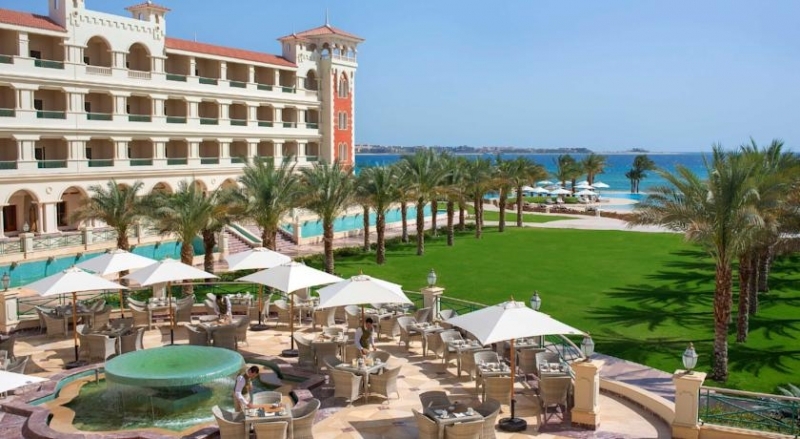 A Superb range of carefully selected dining options including world-class cuisine offering a variety of International buffets with live cooking kitchen and dinner themes changes daily.Restaurants, Lounges, Bars and Cafe’s are all available throughout the day and evening. RED SEA RESTAURANT - Indulge yourself in our International open buffet restaurant with our famous cuisine with the live cooking stations. This restaurant serves breakfast, lunch and dinner. Don’t miss our daily change of themes.The restaurant has a total of 730 seats, of which 630 seats are indoor and 100 seats are outdoor. 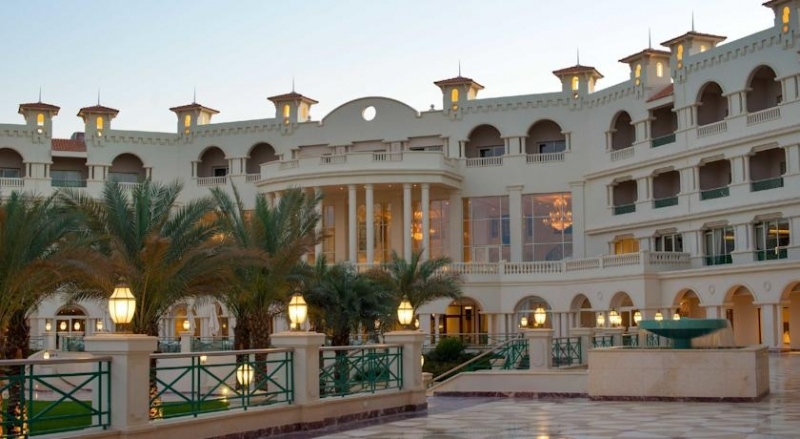 EGYPTIAN RESTAURANT - A cozy restaurant offering oriental food of the finest quality. Kill your cravings with our fresh-baked bread, Oriental appetizers and an array of mouthwatering salads. Choose a plate of specially-marinated kebab and kofta, stuffed pigeon, or even molokheya with chicken and rice. And don’t forget to try our special Eastern sweets and desserts. The restaurant has a total of 95 seats, of which 55 seats are indoor and 40 seats are outdoor. CHILLITOS RESTAURANT - Enjoy the finest Mexican dishes in the most comfy and beautiful surrounding. Explore a wide array of Mexican specialties ranging from nachos, quesadillas, tacos, fajita and other dishes cooked to your taste. The restaurant has a total of 64 seats, of which 36 seats are indoor and 28 seats are outdoor. YING and YANG RESTAURANT - The casual Far Eastern ambiance and the authentic Chinese cuisine prepared by our Chinese chef are making this outlet an experience to remember. The menu is quite diverse, but we recommend you to try any of the sizzling selection of excellent noodles, juicy chicken, marinated beef or tasty shrimps, in addition to numerous sauce toppings to add remarkable taste. The restaurant has a total of 72 seats, of which 36 seats are indoor and 36 seats are outdoor. 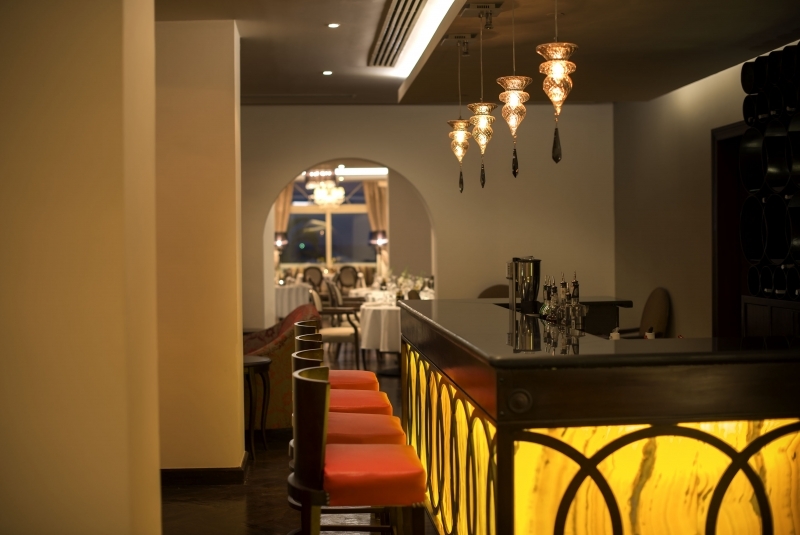 MIKADO RESTAURANT - Dine in Elegance and luxury in our Mikado restaurant. Japanese food lovers will enjoy a wide selection of authentic Teppanyaki and Sushi choices that would take you to an unforgettable journey.The restaurant has a total of 58 seats, of which 34 seats are indoor and 24 seats are outdoor. INFINITY POOL RESTAURANT - Choose from a wide array of freshly seafood dishes cooked to your liking grilled, smoked, fried, and steamed. In addition to an extensive menu overflowing with our BBQ specialties. The restaurant has a total of 75 seats outdoor. BELLA VISTA RESTAURANT & LOUNGE - You do not have to travel to Italy to experience the true taste of pizza, pasta and antipasto. Our chef will be delighted to prepare a unique pizza with your own choice of delicious toppings. Do not miss our famous Italian starters specially designed to satisfy your taste. The restaurant has a total of 134 seats, of which 70 seats are indoor and 64 seats are outdoor. PALACE LOBBY LOUNGE - Located in the hotel lobby and offers a wide array of exotic local and some imported alcoholic and non-alcoholic cocktails and spirits drinks. The lounge has a total of 88 seats, of which 56 seats are indoor and 32 seats are outdoor. INFINITY POOL BAR AND LOUNGE - Choose your favourite fruits and vegetables juices or cocktails while enjoying the breath-taking and relaxing atmosphere of our stunning pool. The lounge has a total of 70 seats outdoor. BELLA VISTA ITALIAN LOUNGE - Pamper yourself and experience the ultimate relaxation while sipping your favorite drink. It is an excellent place to have an aperitif drink before drink or digestive drink after a superb Italian meal. BARON CLUB LOUNGE - The Lounge is mainly designed to serve guests residing in the Executive Sea View rooms, Swim-Up, Junior, Senior and Royal suites. 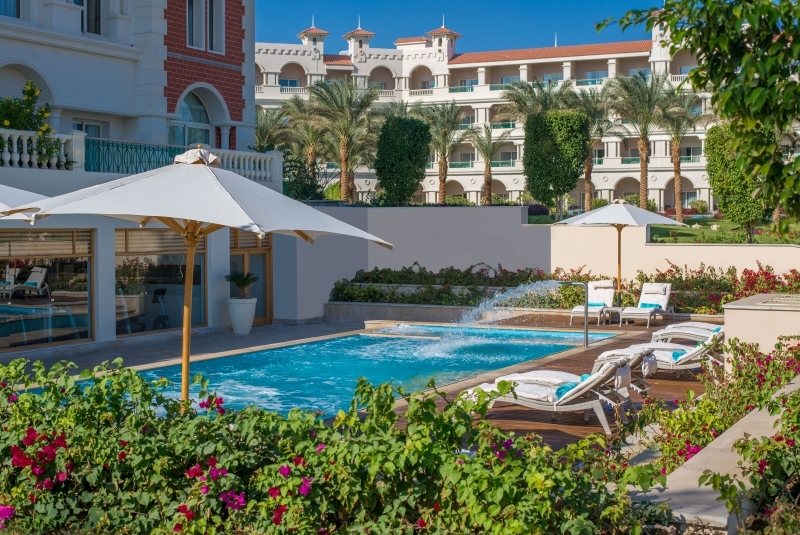 You can relax and enjoy stunning views of the sea and hotel courtyards. The lounge features a private well stocked library and computer terminal with complimentary Wi-Fi connection. The club lounge serves complimentary food and beverage presentations including alcoholic beverages and day-long refreshments; an array of snacks and an extensive choice of international tea selections. Also, The Club features after-dinner liqueurs, cordials, and chocolates. For Guests with early check-outs, the Club offers a flight bites box with fruits, yogurt and pastries. Guests at The Baron Club Rooms and Suites enjoy the following deluxe amenities and superb services: refreshed seasonal fruits, evening turndown service, free use of sauna, steam room and Jacuzzi, feather duvet with pillow standard, luxury toiletries enriched with Dead Sea minerals. It is the perfect place to relax or mingle while sipping your favourite cocktail, snacks and alcoholic beverages. The lounge has a total of 44 seats, of which 36 seats are indoor and 8 seats are outdoor. THE NICHE BAR - A modern classical English bar offering exclusive cocktails and premium Cuban cigars.The bar has a total of 58 seats, of which 46 seats are indoor and 12 seats are outdoor. TEENS BAR - Choose your favorite drink and make new friends at our Teenagers bar specially designed to host our young clients below the age 17 years old.A wide selection of non alcoholic drinks and tempting cocktails for you to choose from. The bar has a total of 50 seats indoor. LA SALSA BAR AND CLUB - Why not try something different and spend your time dancing on the latest hits. It is the perfect place to indulge yourself while sipping your favourite drink. The bar has a total of 150 seats indoor. 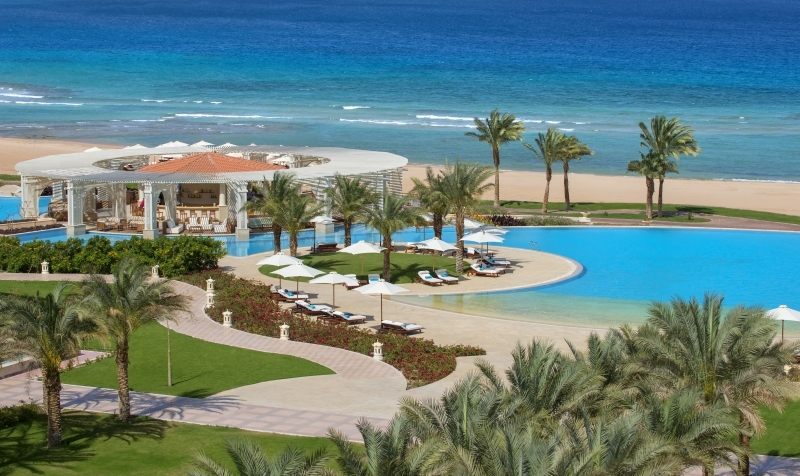 There is not a lot of local transport in Sahl Hasheesh and taxis will need to be ordered in advanced from Reception at the Hotel.Transport in and around Hurghada is usually by local street Taxis but not on always on the meter,so set a reasonable fare before getting in. 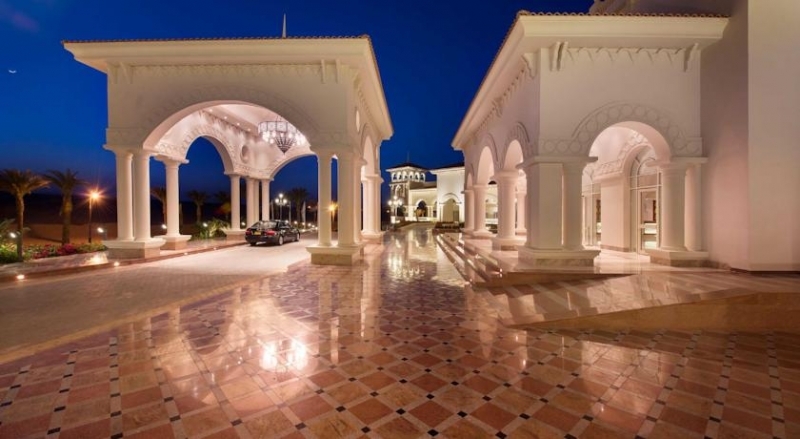 Memphis Tours provides an excellent transport service with spacious vehicles taking you to Hurghada and other destinations to visit all sights and attractions with tours available and further afield. 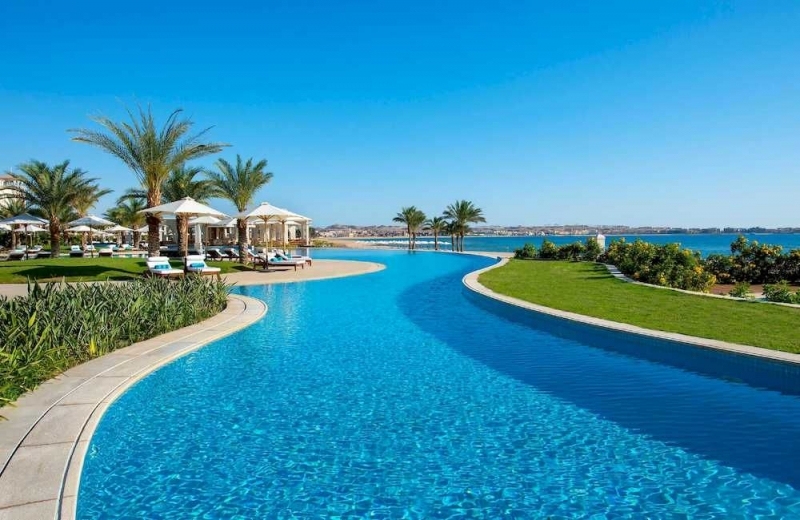 Hurghada Airport lies approximately 25 minutes (19km)from the Baron Palace Sahl Hasheesh Hotel and hosts internal (domestic) flights within Egypt along with Scheduled and Charter flights arriving from other worldwide destinations. 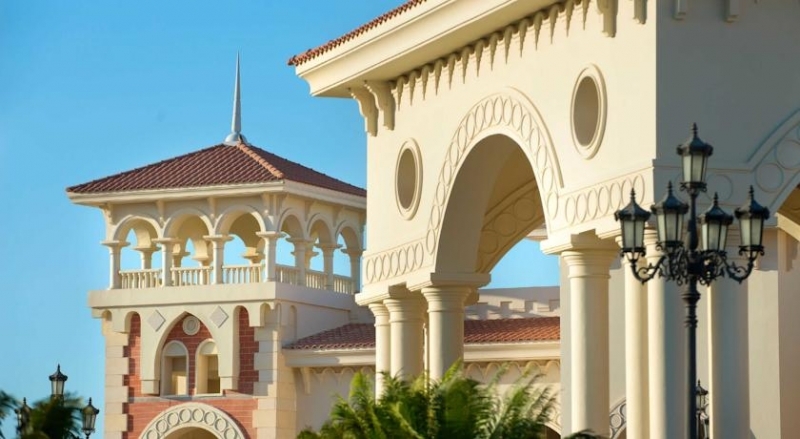 if you have not already booked your transfer from the Baron Palace Sahl Hasheesh Hotel to the Airport (arrival and and return), then working with the Hotel, Memphis Tours can arrange the transport for you in our modern air conditioned vehicles with a representative to assist you on arrival and return to and from the Baron Palace Sahl Hasheesh Hotel. Transfer cost is approximately 22 British Pounds. Any tours booked will include transportation costs. Please check the link below.